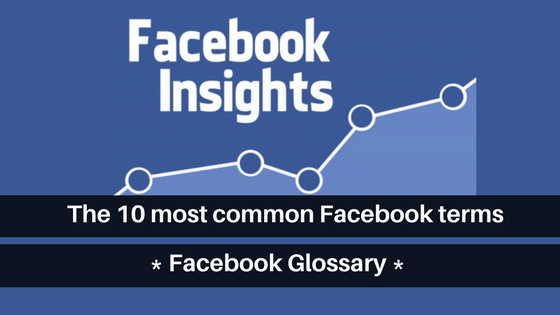 If you are new to Facebook or if you are struggling to make sense of the terminologies used within Facebook, here is a glossary that will help you understand the jargon. One of the main components in a Facebook page is the “Insights” section. Facebook Insights gives you analytical data on who visits your page and how visible your posts are. For example, you can see how many views you had on your page; the age of the people who liked your page; where they live (city, country); or even what time during the day they come to visit your business page. All these metrics are called KPIs; Key Performance Indicators. But very often, business owners don’t even look into Insights because the terms used are often not understood. However, these are extremely valuable when checked regularly – and when they make sense too! So here is a guide for you to refer to when you want to make sense to some key terms used in Facebook Insights. Number of people who liked your page. When someone likes your page, Facebook will automatically make them follow your page too. The number of people who have clicked on the ‘follow’ button on your page. Very rarely, but it can happen that some people just ‘follow’ your page without liking it. Facebook users have the option to follow a page without hitting the like button. These types of followers will still see your posts in their news feed, but they won’t be considered a like on your page. This option was set up for people who didn’t want to befriend someone’s page on Facebook but still wanted to see their posts. 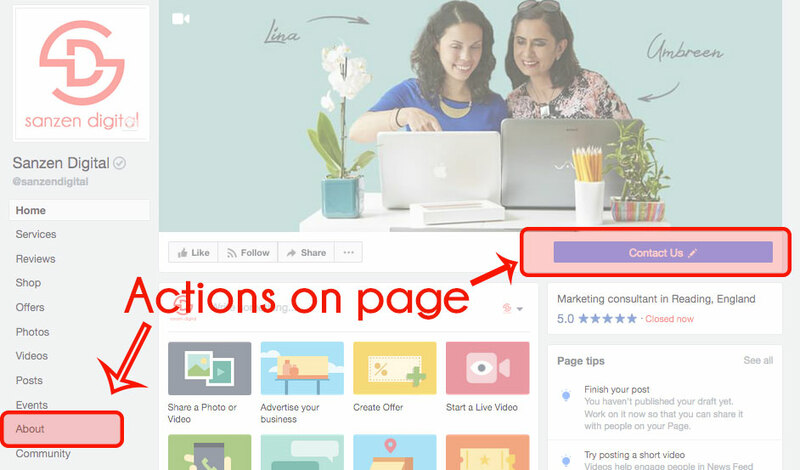 Number of clicks on your action button on your page or on the contact’s info section on your page. The number of times people have come to view you page. In other words, how many people have visited your page. They have to click on your page name and see your page to be counted as a view. If they see your latest post in their news feed, it will not be counted as a page view. The number of people who reacted to your posts, such as like, share, love, comment etc… The more reactions you have on your post, the higher the engagement. Marketers often talk to ‘page engagement’ to refer to how often people react to the content published on the page. If the engagement is low, it means that very often, people don’t like, comment, share, love etc… on the Facebook posts. The engagement is one of the most regarded data that Facebook check for your page. The number of people who saw any of your page posts in their news feed. If you want to know if your posts was visible on Facebook, check the ‘reach’ number that shows just below the post itself on your business page. If you check this data regularly, you will start to know what post was seen by most people and what post was not visible at all. After a while, you will know what type of content you should focus on sharing in order to have a better reach. Total number of minutes your video was watch for. Views and replays that are less than 3 seconds are included. So if someone sees your video in their news feed for less than 3 seconds, it will still be included in the minutes viewed. Number of times your video was watched for at least 3 seconds. Any view that are are less than 3 seconds are not counted here. You might be wondering what ‘people’ is about. Well this is where you see how old is your Facebook page audience, where they live and if the split between men and women. You will also see which of them are the most engaged with your posts! Posts are essentials on Facebook – but do you know when is the best time to post them on your page? Facebook Insights lets you know what time of the day your audience is the most active. Click on ‘Insights’ and then on ‘Posts’ in the left menu to access this data. If you have a peak the morning or the evening, you might want to publish your post during those times. This way, you give to your post the best change to be seen by as many people as possible – or should I say your best ‘reach‘ possible for your post! But be aware that if your page is new (less than 6 months), you might want to wait to get enough data. When building your page audience, the best time to publish can only be accurate when your page is not new. To find out how Sanzen Digital can inspire you and help your business grow your Facebook page engagement and reach – just drop us a line!